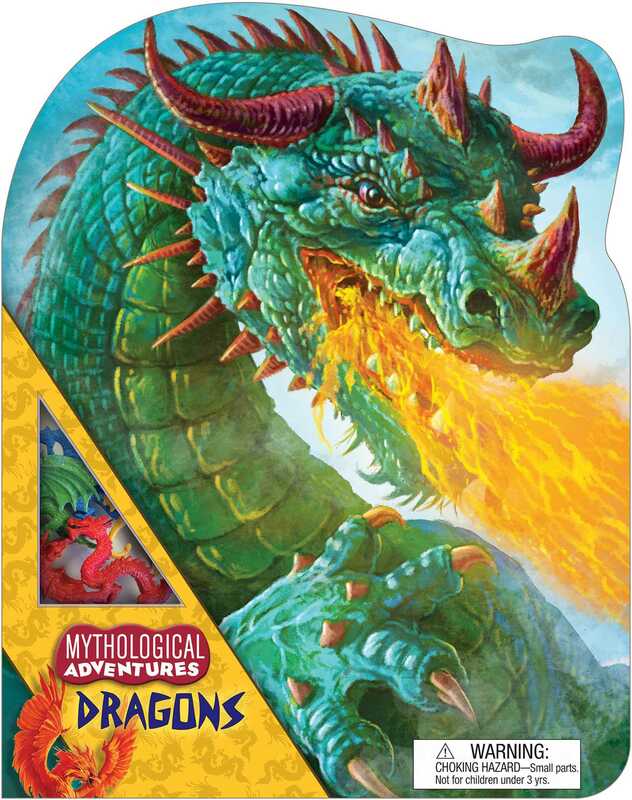 Mythological Adventures: Dragons will take you on an amazing journey to encounter these legendary creatures. Mythological Adventures: Dragons offers a unique learning experience for kids as they get the chance to meet different dragons face-to-face. They'll have fun learning while they encounter Western and Eastern dragons—large and small, gentle and fierce—with vibrant illustrations and fascinating facts. Then, kids can build a diorama of their very own and add to the fantastical world of dragons. - This unique kit includes a book full of colorful illustrations and intriguing facts about dragons, plus 3-D animal models and a diorama with reusable stickers. -Explore the world of dragons and learn everything you need to know about these mythological creatures. Mythological Adventures: Dragons will take you on an amazing journey to discover the secrets of dragon lore. Megan Roth has edited and written a variety of content from award-winning apps and interactive products to children's board books and chapter books. She is originally from Pennsylvania, where she earned her degree in literature, film, and women's studies from the University of Pittsburgh. As a child, Jani Orban drew from the moment he could hold a pencil. Recognizing his potential, his parents sent him to an art high school, after which he attended the Hungarian University of Fine Arts, where he earned his degree. Jani’s sources of inspiration change constantly. He is always looking for a new task, a new mission… anything he has yet to try. And when he finds it, he starts by studying from the works of other masters of the style or field. Currently, Jani lives in a small village near Budapest. He works in a variety of methods, mainly digitally due to the demands of the current industry.